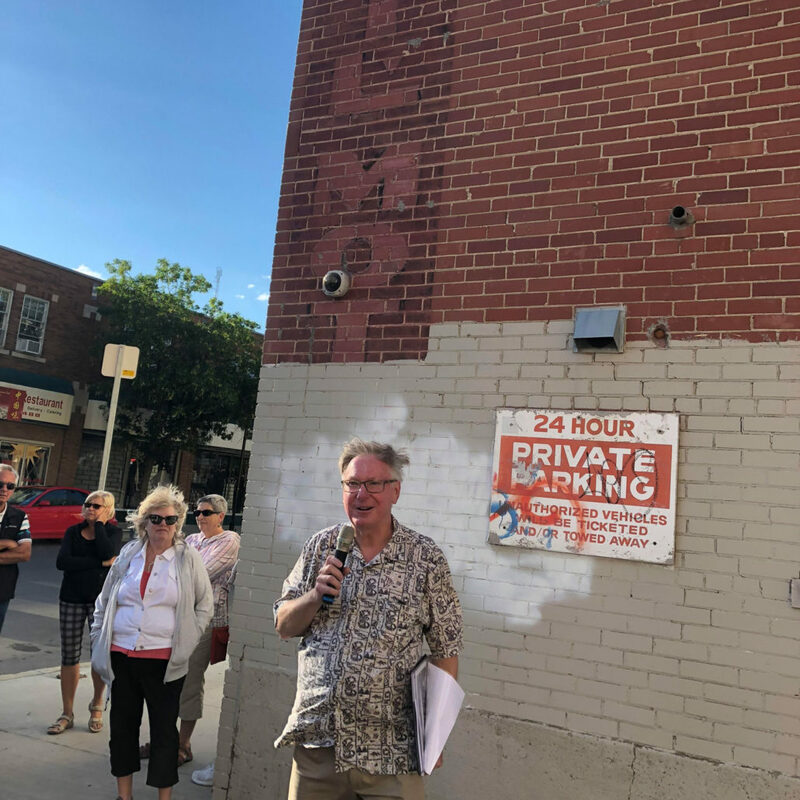 July 14 saw over 60 people join tour guide Dale Edward Johnson on a fascinating tour of Regina’s Downtown Car Dealerships. Dale’s knowledge of Regina’s car dealership history illustrated the rich history of the car business and its association with some of Regina’s Heritage buildings. Dale shared many interesting stories of the businessmen, the auto makers and the different car models that have been sold in our downtown since 1913. Thanks to everyone who came out and a big thanks to Dale for sharing his passion with he citizens of Regina. Hope to see many of you at our next tour: Saturday July 21 @ 6:00 pm join guide Warren James at the Central Fire Hall on 11 Avenue. Image is of tour guide Dale Edward Johnson standing in front of the sign for Neil Motors. This sign is on the back of the Vintage Vinyl building on 11 Avenue.